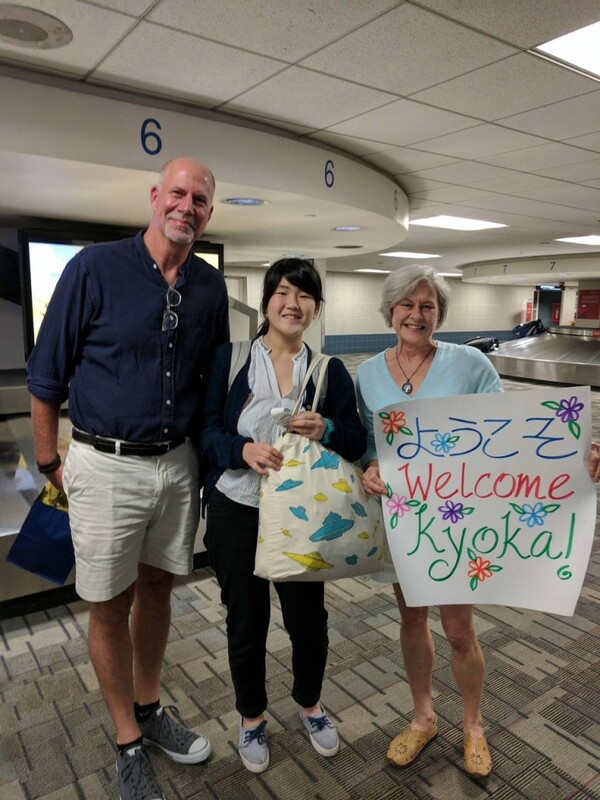 Kyoka arrived from Nagasaki in August, armed with a small sketchbook and a set of charcoal pencils. She is especially good at drawing and painting and wants to be a professional artist in Italy after graduating college. Since my art studio is in our home, Kyoka is able to observe and work alongside me whenever she has time. Essentially, I am available for private lessons whenever Kyoka is inspired to create! 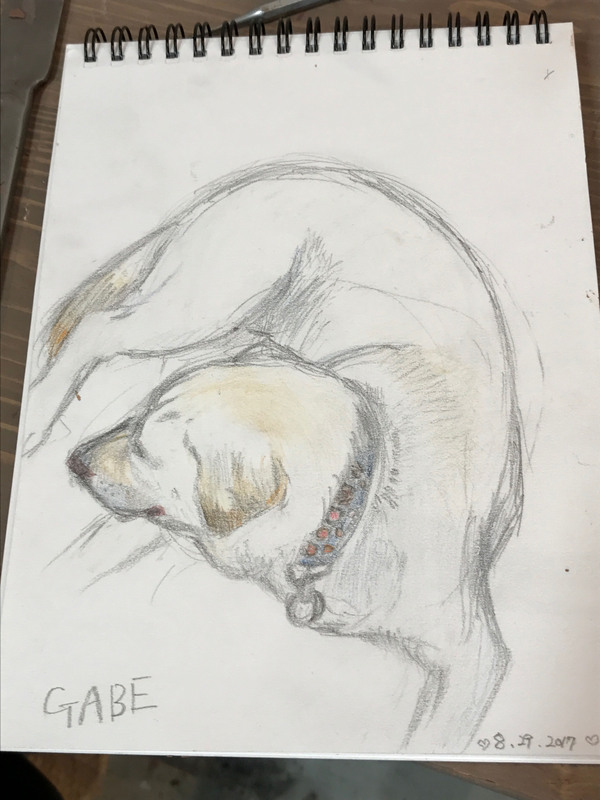 Three days after arriving, Kyoka sketched a beautiful image of Gabriel, our white English Lab, who sleeps at her feet whenever she sits down. She captured this common sleeping pose of a Lab perfectly. 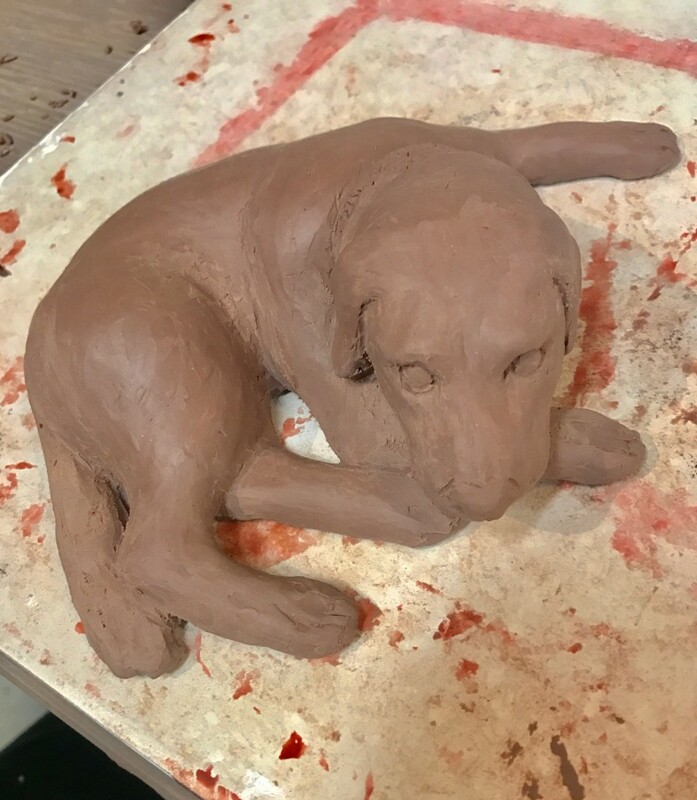 Impressed by her drawing, I encouraged Kyoka to try her hand at sculpting “Gabe” in clay, which together she and I would cast in crystal. 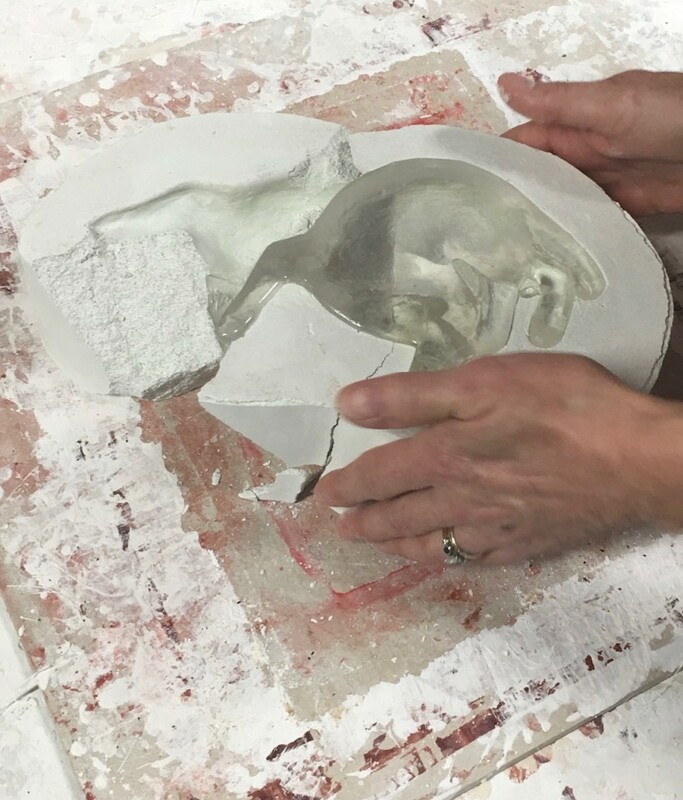 She has never worked with clay until now. 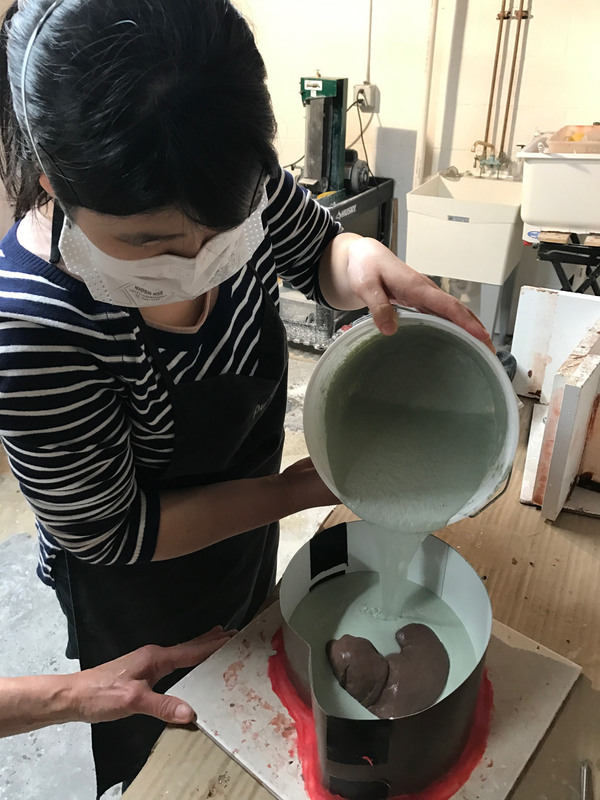 “Kyoka’s Lab” is 6″ x 5.5″ x 2.5″ and weighs 3.3 lbs. 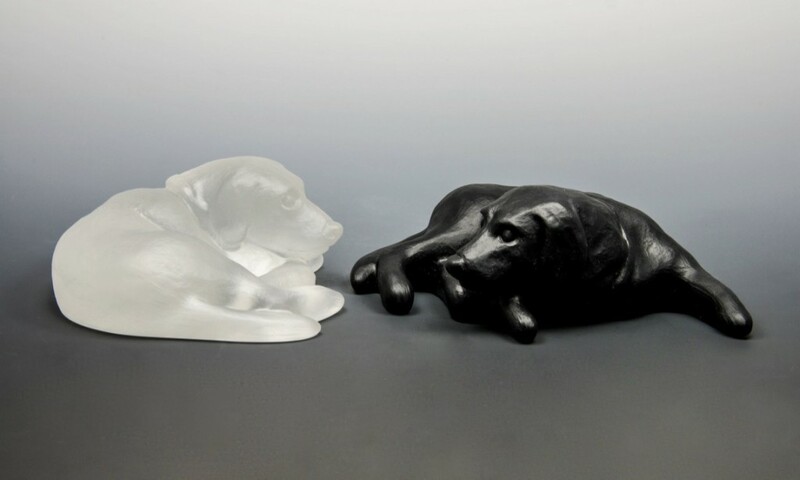 If you are interested in purchasing one of these DJR Glass sculptures, please contact me @ djrglass@gmail.com and specify color, or you can order directly from my store page http://www.djrglass.com/store. The price is $182 and a percentage of each “Lab” purchase will go to its designer, Kyoka. Love this story, and these pieces Donna! You and Kyoka are a great team. And Gabe is a perfect model! Thank you so much Bev! This was a really fun post to write and we anticipate many more wonderful chapters in this story ❤️ Please stay tuned! Oh what a wonderful story. You have given Kyoka an experience that will live with her forever. The labs are beautiful. So great to see the process again. Do take care. Maybe the boys will be home for Thanksgiving or Christmas. Thank you Mary, I hope so! 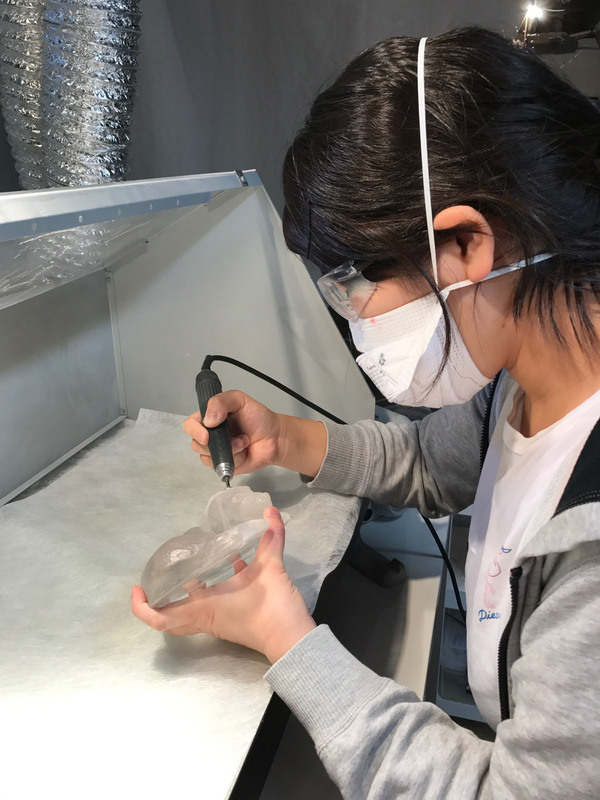 We (okay, I 😉 have a plan to get her hooked on glass and go to the Toyama Institute for Art when she finishes high school! Yes, the boys and their ladies will all be home for a little time at Christmas! It’s never long enough though… Be well my lovely friend.